The Garmin Virb Elite was one of our favourite action cams a year ago, which was a big surprise from a company known more for navigation and sports watches. It had some unique features and impressively sharp optics. It was big and bulky, though, and it topped out at 1080p/30fps, so it couldn’t hang with the big boys. Well the second generation of this camera is coming, and we’re pretty excited about it. For starters, it’s a totally different form-factor. Last year’s Virb was a sort of oblong bullet shape. It’s been completely redesigned and now sports a GoPro-ish rectangular shape. It seems like it might be a bit on the wide side, which wouldn’t be great for aero or hydrodynamics, but it’s a bit hard to tell from these first images. What we do know is that, as is, without an additional case, it’s waterproof to 50 metres (164 feet). That’s more than 10 metres deeper than the Hero4 in its standard case. Impressive. The shooting modes are now better, too. 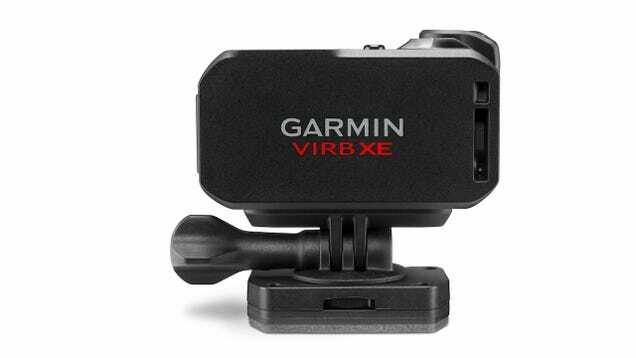 The Virb XE (which is the higher-end of the two new Virbs) can now go up to 1080p/60fps and 1440p/30fps. Yes, that’s far cry from the current high-end cams, the Hero4 Black and Sony’s 4K Action Cam which can shoot at 4K/30fps and 1080p/120fps, but it’s an improvement over last year, for sure. The lower-end Virb X is still limited to 1080p/30fps. The XE has a “pro mode” with more manual adjustments over white-balance, colour, sharpness, etc. There is mention of image stabilisation on the XE, but we assume that’s digital stabilisation, rather than optical. Still, that’s a feature a lot of people like. Both new Virbs have newly designed microphones, which is a place the first gen was definitely lacking. It’s also ready for Bluetooth audio, so you could use a Bluetooth mic if you so desired. Actually, accessories are one of the coolest components of the Virb. Using Bluetooth, ANT+, and Wi-Fi, it can pair with loads of different accessories, including heart rate monitors, multi-sport watches (like the Fenix 3), and even OBD tools from various vehicles which capture things like speed, RPM, and throttle position. Why do this? Because you can overlay this data on top of your videos. 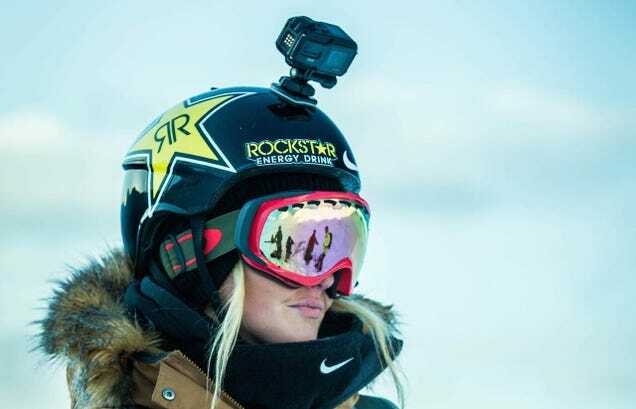 It’s not always easy to see how fast you’re going in POV video, but if you can show your speed, vertical drop, and sure why not heart rate while you’re snowboarding, it adds a whole different dimension.